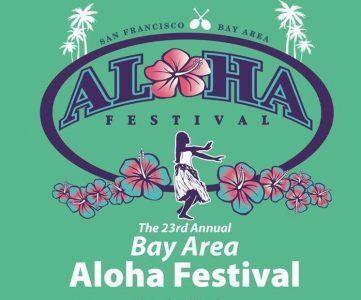 • What is the PICA Bay Area Aloha Festival? • When and where is it this year? August 11-12, 2018 (Saturday & Sunday), 10:00am – 5:00pm, San Mateo County Event Center (SMCEC), 1346 Saratoga Drive, San Mateo, CA 94403. • Why did you move the festival from the San Francisco Presidio to the San Mateo County Event Center (SMCEC)? Construction changes at the San Francisco Presidio have resulted in a two-thirds reduction of parking spaces. This change made it impossible to accommodate the large number of people who drive to our festival. SMCEC is the home of the annual San Mateo County Fair and has over 2500 parking spaces available. • What is the new Aloha Festival layout at the San Mateo County Event Center? The layout is subject to change, but we have a planned venue map here. In summary, the entertainment stages will be outdoors in front of the Central Mall Lawn Area (seating info below), food vendors will be in the West Parking Lot, and the `Ohana Korner kids' area will be outside Fiesta Hall. Arts & Crafts vendors will be inside Expo Hall and the Education Pavilion will be inside Fiesta Hall. The East Parking Lot at 1346 Saratoga Drive, San Mateo, CA 94403 is the parking lot all attendees should use, and then walk to the entrances at Gates 5 & 6. The West Parking Lot is for food vendor booths only. • Is there a charge for admission? No, Aloha Festival still has a free admission policy! We do this to keep our event affordable for families, many of whom already find the high cost of living in the Bay Area quite challenging. We are doing our best not to add to that burden. There is a large parking lot at the festival site, where paid parking is available for $15.00 per vehicle; an extra charge applies if your vehicle uses more than one slot. We encourage using carpools or public transportation.